You have shopped around and searched for quite some time to find the perfect home. You feel confident that you found it and you are ready to have the building and pest inspection performed. Do you know that many home buyers and sellers make mistakes during their building and pest inspections? If you want to avoid making the biggest mistakes buyers and sellers commonly make during building inspections, you need to know about these mistakes. A home inspection examines your property, identifies problems, and writes an assessment report for your records. It is how you learn about what is happening with a property under the surface. Building and pest inspections are helpful for buyers so they know what expenses they may incur due to problems. For sellers, it plays a role in the value of their property. Property and pest inspections are imperative for numerous reasons, but primarily they help you regarding the largest investment you will likely make in your life. It is vital that you avoid the following mistakes during a building inspection to further ensure your investment is protected. Before you choose a building and pest inspection service you need to know about them. You need to know their reputation and their qualifications for two things. You should ask these questions. • How long have you been in the building and pest inspection industry? • How many building inspections have you done? • What are your credentials and what kind of training and certifications do you have? • What did you do before you became a building and pest inspector? It is smart to look for a building inspection service with inspectors that have had former experience in the contracting or building industries. You will also want to ensure the inspection service provider keeps up with their certifications, keeping current with new laws and guidelines. Not all states regulate the process of building and pest inspections, so it is important to do this research. While you are not required to attend the inspection, it is a good idea. Why? It is a good idea because you get the complete picture of the inspection rather than just reading some report you may or may not understand. Being present at the inspection allows the inspector, at his or her preference, to explain the details when they complete the process. They can even provide you on-the-spot estimates to help you speed up the process of buying or selling the property. You should be there for them to go through the building and pest inspection after the fact so you have a clear and concise picture of the property. Not reading the building and pest inspection report is a huge mistake. Perhaps you think you are not going to understand the defects as they are listed or what they mean regarding the value of the property. One of the objectives of the building report is to inform buyers and sellers of what is wrong with a structure or property so they can determine whether to fix it before they sell it or whether they want to go to the expense of fixing it if they are buying. Building and pest inspection services are there to help you know what it all means and even give you some information about whether it is worth what you’re asking or what you’re considering paying for a property. Do your research, be there, ask questions without being a pest, and pay attention to any recommendations a building and pest inspector gives you. These are the basics that will help you avoid these common mistakes. If you require a building & pest inspection or swimming pool certification please call our friendly team on 1300 883 806. Investors understand they will encounter more structural problems during a building and pest inspection when they are negotiating offers on older properties. The older the property, the more potential for serious issues and the more repairs may be required. Sometimes older properties are worth repairing while others are not. The objective is to know what you are getting into, whether you are buying or investing, when you seek to buy an older property. You will find that there are essentially five major problems to be aware of in older properties during a building and pest inspection. The foundation of a house is a primary element of its structural integrity. If you notice unevenness of the floor during a walkthrough of the house, you should know that will require athorough inspection to discover or eliminated potential foundation issues. Hairline cracks in the concrete foundation are not necessarily a sign of foundation issues. The only way to know for sure there is a structural problem with the foundation of an older property is to use quality, licenced building and pest inspection services. If the problem is very serious,they may recommend a certified structural engineer to look at it as well. Not all foundation problems are beyond repair or an expensive repair. It is simply smart to know what you are getting into before you start negotiating your offer. Older homes are susceptible to drainage and water issues. Back in the olden days, houses were not built with underfloor or perimeter drainage like they are today. This is most likely a major issue in homes over 50 years old. That will require updating. The most common sign that the property has poor drainage or an issue with dampness include a musty smell, which is indicative of mould. It is a noxious odor caused by the gaseous byproduct of mould. For instance, dampness in the basement can result in mould, which in some cases can be a health hazard. That is why it is important to ensure your building and pest inspector looks for signs of mould, poor drainage, leaks, and related issues. It may not be economically worth it to install new drainage and waterproofing in an older home, but you need to know the facts before making an offer. Like the foundation, the roof plays an important roll in the structural integrity of a house. It is vital that you know if there are leaks in a roof or if there are other roofing issues before you consider investing in an older property. While water spots are the most common sign of roofing issues, they do not always signify major roofing issues. Water spots can occur inside a structure on the ceiling as well as on the exterior walls. Water spots found on the exterior walls can mean the roof has flashing problems. A building inspection of the tiles or shingles will reveal issues like cracked shingles, flashing issues, missing tiles, or cupping. Another area that building and pest inspection services look at is the attic insulation. They should look for moisture in the insulation and under the roof boards. Roofing repair costs vary, which is why you should get an estimate once you discover the problem. Then you can adjust or make your offer. The old Stucco ceiling, also referred to as cottage cheese ceiling, used to be popular, but it is not today. These types of ceilings can be removed and replaced at varying costs. The main reason for a building and pest inspection on a Stucco ceiling is to check for asbestos. That is when the expense of removing and replacing the ceiling becomes expensive. Outdated electrical and plumbing systems must be inspected and addressed if you plan to invest in an older property. Choosing the right building inspection service will uncover electrical and plumbing issues in older properties and provide you with the information you need to decide if it is worth repairing or not. While some of the older, antiquated layouts in old properties lend to its charm, they could cause problems if they are not problematic already. You may be able to preserve these old-world layouts, but you first need to know if they will cause issues or costly renovations before you proceed. Building and pest inspections are crucial in knowing what needs to stay or go. Not all out-of-date layouts such as little bedrooms, tiny kitchens, ladder-style stairways, and narrow hallways create costly renovations. Most of the time, updating these layouts is up to the buyer/investor/owner of the property. Knowledge is important. Due to these problems in older properties, it is imperative for you to know what requires repairs or renovations before you make any investment. Building and pest inspections are critical to your property investment knowledge. What Should You Look for in a Building Inspection Service? Whether you’re seeking a new home or selling your home, it is wise to enlist the services of a building and pest inspection service. Why? Because buying a home is one of the biggest financial investments you will make in your life, so it is smart to ensure you won’t run into any unexpected expenses after you seal the deal. Likewise, if you are trying to sell your home, it is smart to know what issues might be hiding that could cause your home to sell for less than what it is worth. You can turn that around and make the necessary repairs or improvements that will boost the value of your home. For buyers, property inspections can uncover potentially dangerous or hidden damages that may be on the property. It isn’t unusual for a builder (or DIY renovator) to coverup flaws and issues just to make the sale, therefore it is crucial to select a building and pest service that knows all those tricks of the trade. If you aren’t sure what to look for, finding a building inspection service can be a challenge, since they aren’t alike. Here are five things you should know before selecting a building and pest inspection service. While you would expect that every building inspection service will have qualified personnel to inspect your property, there may be no formal qualifications required in your area of Australia for building inspectors. That could mean that any person with a business card can refer to themselves as a building inspector. Some areas of Australia do have regulations and requirements for property inspectors, so it is important to know about those laws. Take some time to check out the inspection service by finding out how long they have been in business. Also see if they have licensing whether it is required or not. Do they have expertise in the kind of inspection you need? Different types of inspections require special skillsets. For instance, a pest inspection requires expertise in tracking and analysing pets, while a building inspector will have expertise in building and construction. Do they provide thorough inspections? This is not a full list, but it gives you an idea of what they do. It is crucial that you have a detailed analysis of any pests that may be inhabiting the property, which will involve a separate pest inspection. Professional indemnity insurance cover is what you should be looking for when you ask about whether a building inspection service is insured. Your typical building and pest inspection service will also be a licensed builder, so they understand the nuances of solid home construction. While that isn’t always the case, it is good to know if any of their inspectors have building and construction experience. What about the inspection report? You need to ask how long it will take to get your report and what will be included in said report. It is good to find out if they include color photos, impartial reporting, and a full report in a reasonable time. Some of these reports are 75 pages or more and should be provided within 48 hours. Always read the testimonials and reviews, if provided, on the building and pest inspection company’s website. This provides you with invaluable information about their customer service and their integrity. Before you make a significant investment in a home, consider having a building and pest inspection performed. It could save you money, time, and future frustration. Building and pest inspections play a vital role in buying, selling, and investing in property across Australia. Not only are they necessary for the information they provide about the condition of a property, but these reports can also be utilised as a strategic negotiating tool. What is included in a building inspection? Professional building inspectors perform visual inspections of all the areas of a property/building to look for signs of major and costly issues and structural flaws. Here are the areas where they dig deeper to find problems. Building Roof – They look for damaged or loose roofing tiles, damaged downpipes and gutters. Building Interior – Electrical wiring, warped doors (or those that won’t shut properly), broken windows, cracks in the walls, water stains on the walls, and other aspects of the interior. Building Exterior – The inspector thoroughly examines the construction of the building and any other structures on the site, checking for defects. Under-Floor and Roof Spaces Whenever under-floor and roof spaces can be accessed, the property inspector will check these spaces for structural damage. The General Property Site – Garages, garden sheds, carports, fencing, driveways, paths, detached/separate laundry and toilets, retaining walks, and surface water damage are all inspected in a professional property inspection. Negotiations play a strategic role in property buying transactions. Therefore, building and pest inspections go beyond delivering peace of mind when making one of the most important investments of your life; buying a house. The same holds true for buying commercial property for a business. Building and pest inspections provide you with the ultimate leveraging tool that helps buyers, sellers, and investors get the best deal for their money. Buyers can save money with the knowledge in these reports. Sellers can boost their profit by making efficient repairs when selling their property. Investors use these reports to negotiate for the best price on a property, so they can reap rewards down the road. It’s wise not to avoid having a building and pest inspection done because it is an expense that provides you with advantages that help you regardless of which party you are in the process. It’s also risky to exclude this minimal expense in your property buying, selling, or investing transaction. How do building inspections help with negotiations? Sellers – When a seller knows what problems are lurking within their property, they can use a property inspection report to make cost-effective and efficient repairs that will add to the value of the property. The key is to be careful about what repairs you make so as not to sabotage your profit. Buyers – Buyers can use property damage and issues to negotiate for a lower price. Buyers should be aware that some property damage and problems can be quite costly, which means they should seek professional guidance before going into negotiations. Investors – Investors often know how to use property reports to their advantage to save money on an investment property. However, it is still worth mentioning as it is relevant to this topic. Buyers, sellers, and investors should avoid going into a property buying transaction without a property report to show the condition of a building. These reports are the optimal negotiating leverage for every party in different ways. What are the Advantages of a Pre-Sale Building Inspection? Whether you’re considering listing your home for sale or buying a home, it’s crucial to know about pre-sale inspections and the advantages of getting one. For sellers, you may know about the little quirks that need some fixing or repair around your house. However, there may also be some hidden issues that need to be addressed before you list your home. Buyers may feel that minor defects in a house also mean there are major defects like structural damage, which will make selling your home to them less possible. Pre-sale building and pest inspections help you gain and maintain control of the sale of your home, help to get the most money possible for your home, and prevent surprising issues with major or minor repair issues. A pre-sale inspection could uncover defects and issues you never knew existed in your home, even if you have lived in it for years. Once you know what’s there, you can fix it or at least feel confident you have been completely transparent about the state of your home. Pre-sales property inspections take an in-depth look into your property from the roof to the foundation and everywhere in between to either make sure the home is structurally sound, or to find those pesky, hidden problems that may be there. These inspections also check for pest problems, which is an important aspect of getting your home sold. If you’re thinking of buying a home, you must take several factors into consideration before signing anything. Given today’s high cost of property, a wise thing to do is look at houses for sale that have pre-sale inspections on them. Pre-sale inspections provide a report of the status of a house, including any structural damage, pest problems, and major or minor defects. It gives you a heads up on what you may be in for when making repairs that the owner may not make on the property. Skipping out on the pre-sale inspection as part of the home buying process could turn into a costly and frustration transaction. It doesn’t matter which side of the home buying or selling process you’re on when it comes to pre-sale building and pest inspections. There are advantages for all parties. Pre-sale home inspections make you aware of what issues are present, allowing you to determine what you can reasonably invest in that will boost the value of your property before listing it. You will have time to consider what to repair and what to leave for the buyer(s) that won’t discourage them from buying. Taking the time to find the highest quality and least expensive home repair contractors will help improve your end results. A pre-sale inspection report is a smart selling strategy. It gives buyers peace of mind in deciding if they want to make an offer on your house or not. Since these reports are unbiased, third-party reports, they inspire confidence in the buyer. The seller has more control over the sale of the property since building reports give you the edge in this transaction. In a case where the seller has a pre-sale inspection report, the buyer may gain some leverage in the negotiations of the property sale. Some defects do count against a property’s value. Knowing what you’re getting into with a house before you buy it allows you to prepare for cost-efficient repair contractors and/or pest removal or extermination. You can ask the professionals about these fixes before signing any papers. Pre-sale inspection reports help you avoid buying a money pit that will deplete your bank account in home repairs. What do pre-sale property and pest inspections uncover? Essentially, anything that would cost the seller or buyer excess money to repair or remedy is found in pre-sale inspection and pest reports. Who Needs a Building and Pest Inspection? Anyone who buys, sells, owns, manages, or otherwise has dealings with the property industry needs building and pest inspection services. Building inspections are part of home ownership and the home buying or selling process in Australia. While it may seem tedious, it’s a real blessing in disguise. It’s odd that so many people don’t consider building or pest inspection services. Some even disregard inspections just to save a few hundred dollars, which could result in the loss of thousands. If you think that foregoing the building and pest inspection during the buying process will speed things up, you will soon discover how imperative building or pest inspections are for the following reasons. Why are building and pest inspections important? Defect disclosure is required by contract therefore, you should expect the vendor to be honest about disclosure. However, they don’t always know about every defect and that could cost you thousands in repairs after the sale. Mould/Black mould can be covered with a new paint job or leaky roofing. A newly tiled bathroom could really be a cheap renovation that didn’t include the essentials of waterproofing, which can result in wood rot, dampness issues, or pest troubles. Unless you’re a building expert, it’s wise to consult with one and find out about the importance of building inspections. The hundreds you spend on this part of the process could save you thousands in post-sale repairs. The dangers of poorly installed smoke alarms and faulty electrical wiring is very real. The two major dangers include fire and electrocution. The smoke alarms should be in good working order. A building inspection to check the electrical wiring of a structure could save you from danger and thousands of dollars in repairs or electrical rewiring. If you’re buying a family home, you need to know if there are any areas that may be unsafe for you and your family. Is asbestos or other harmful material in the home? Are there cracks in the walls or loose balustrades? The discovery of these issues allows you to determine if you want to cover the costs of making the house safe or keep looking for another home that doesn’t come with these issues. The house, or other building, isn’t always the only structure on a property. Sheds, patios, gazebos, and other structures should also undergo a building and pest inspection for safety, compliance and to reduce potential repair costs. It could cost you several thousand dollars to move a structure that doesn’t conform to the local council regulations. You may have to tear it down altogether. Any structure that doesn’t meet local council regulations for whatever reason will cost you to fix, move, or remove. What Exactly is Included in a Building and Pest Inspection? Building and pest inspections are designed to shield property buyers from investing in property that requires costly repairs. These reports uncover the potential hidden issues of a property. This process helps bring peace of mind to home buyers and investors in knowing that they aren’t buying a structure that could cost a lot in repairs or collapse in on itself. It is vital that you know as much as possible about the condition of a property before you buy or invest in it. Building and pest inspections play a major role in preventing extraneous expenses after the purchase of a property. That is why the process of having a building and pest inspection performed is so widely recommended by the experts. The details and formatting of a building report is dependent upon what type of property is being inspected. Other factors that affect the inspection and report include the condition, the age, and the size of said property. These same factors also affect the cost of the report. Building inspection reports may be done in a standard format, a comprehensive checklist format, or it may be customized according to the property. Sometimes pictures are taken, while other times they are not included. Regardless of the format, the report should provide you with enough information to make you aware of any problems and the overall condition of the property. The standard building report is essentially a visual inspection that may not uncover any major structural faults or other hidden issues. If you have concerns, it is advisable to look into additional assessments by other accredited specialist such as structural engineers, pest inspectors, surveyor, or another specialist regarding water or electrical issues. What happens during building and pest inspections? You can request that specific areas of the property be inspected like the following. Be sure to specify any areas you would like inspected if necessary. What’s not included in the building and pest inspection? Information regarding areas of the property that could not or were not inspected, estimates of repair costs, minor flaws, termite detection, or other matters outside the scope of the inspector’s expertise. It’s common for most properties to have minor defects such as weathering, blemishes, cracking, and things that are easily and inexpensively repaired. Unless you request it, that information will not be part of your report. How can you prepare for the inspection? It helps to ensure the inspector/consultant will have no distractions during the building and pest inspection. Here are some things you can do to help improve the flow of the process. What is the harm of Asbestos in Your Home? Homes in Australia built before 1990 could contain asbestos. Why is that so alarming? Asbestos is known to cause various health problems, including mesothelioma and lung cancer. In this article we’ll take a look at what you need to know about asbestos and what to do about it if you find out it is in your home. Asbestos is a natural silicate mineral that consists of miniscule fibres. When stirred up, they may produce dust particles that contain asbestos fibres. When these dust particles are breathed into the lungs, it heightens the risk of health issues from pleural plaques to mesothelioma. Asbestos was frequently used in building materials from the 1940s to the late 1990s due to its fire-resistance, efficient insulation, and durability. It is no longer mined in Australia, nor has it been used or imported in Australian products since this discovery. The only time Asbestos poses any risk to one’s health is if the fibres are inhaled. The mere presence of this mineral in home building materials doesn’t pose health risks unless it is broken, disturbed, or deteriorated. Drilling, sanding, or cutting with power tools are potential risks for disturbing asbestos. The only way to know if any building materials in your home contain asbestos is through professional testing. Any household material that hasn’t been tested should be handled as if it does contain asbestos. People who develop asbestos-related health issues are usually those who have worked around materials that contain a lot of asbestos. Construction workers who haven’t participated in safety practices probably encountered higher than normal levels of asbestos fibres on the job. Not only might they have inhaled asbestos, but they could have also carried it home on their clothing, hair, and skin, possibly exposing their family to the fibres. Asbestosis is a disease that causes progressive scar tissue in the lungs, which hinders breathing. Pleural plaques is a health condition that presents with thick patches of scar tissue in the lining of the lungs. Lung cancer occurs over decades after being exposed to asbestos. People with asbestosis and those who smoke are at higher risk of lung cancer. Mesothelioma is a lung cancer that affects the lining of the lungs (the pleura), the diaphragm, and chest wall. Like lung cancer, mesothelioma develops over decades from exposure. Asbestos is also found in automotive parts up until 2004. Take care if you change your brakes, gaskets, or clutches and check the purchase date to be safe. WARNING: Do not try to remove household or automotive materials if they have not been tested. The only way to be sure your household building materials are asbestos-free is to have them checked by professionals. If you are renovating, decorating, or adding an extension to your home that was built before 1990, contact HouseCheck NSW for an asbestos report for your home here: https://www.housechecknsw.com.au/contact-us/. We will tell you if and where asbestos is present, and how to have it removed professionally. Children are drawn to water, especially toddlers. Whether it’s the toilet, bathtub, swimming pool, puddles, buckets of water, or something else, their curiosity drives them to explore. Child safety is important in every circumstance, and it rises to a new level when it comes to pool safety. Here are five tips to help you protect your child and prevent drowning. It only takes a second or two for a child to get themselves into a troubling situation like falling or getting into the water when you’re not looking. Constant adult supervision is crucial and key to preventing a drowning. Never leave your child alone or with another child around the pool. Social gatherings can get hectic, but avoid getting distracted and maintain contact with your child when they are around a swimming pool or the water. Adults can take turns at social gatherings watching kids. Avoid letting an adult who is under the influence of drugs or alcohol watch your kids around the pool. What is a drowning hazard? Buckets of water, a full bathtub, or any container large enough for a child to get into or stick their head into is a drowning hazard. Always empty your bathtub when it’s not in use and never leave buckets or containers of water laying around inside or outside the house. Swimming Lessons – Children should be taught how to respect the water and to swim from an early age. Children love to swim, so early swimming lessons are a good start, but swimming lessons alone don’t prevent drowning. Flotation Aids – These are good tools to use to help them learn to swim, but you shouldn’t rely on them to prevent drowning. Remove Toys – Don’t leave toys in the water as that is a temptation most young children cannot resist. They want to go get that toy no matter where it is. Cover Drains – Don’t let children play around pool or spa drains because the suction of these drains could entrap their hair, arm, leg, or clothing, which can result in injury or drowning. Cover pool and spa drains with proper drain covers and consider having multiple drains installed to reduce the suction power. Preventative measures are important to your plan to prevent drowning. To go an extra step, learning CPR (cardio-pulmonary resuscitation) and keeping your training regularly updated will save a life. In an emergency, CPR could be the difference between life and death. Restricting access to a swimming pool with a fence or border is a NSW regulation and therefore a mandatory measure when you have a pool that meets certain specifications. If you’re in doubt, get a pool certification from HouseCheck NSW professionals to ensure you are taking all the right measures to prevent a drowning in your pool. It must be at least 1200mm tall. Gaps in slatted fences should be no wider than 100mm. The fence must be in good repair and well-maintained. These are the basic regulations, but there are others required for fencing your pool in NSW so that you are in compliance. These five tips can prevent a drowning in your pool, at the beach, inside your home, or at someone else’s home. They are crucial to the safety and wellbeing of children when they are around water. 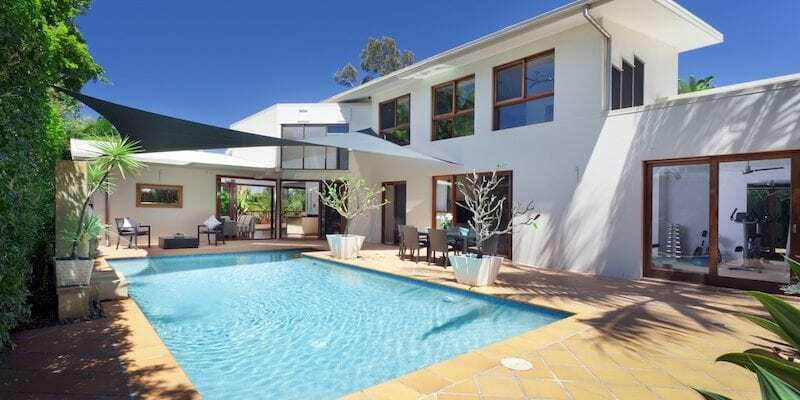 If you have a swimming pool and you’re not sure if it’s safe and regulation-compliant, contact HouseCheck NSW for a free quote here: https://www.housechecknsw.com.au/contact-us/ .